Did you know that the honeybee is the only insect that makes food for humans to eat? Honey is the only food that never spoils! When the honeybee puts the flower nectar into her honey sac inside her body, she mixes three important enzymes into the nectar that makes it into honey. What is an enzyme? An enzyme converts one thing into another. The three enzymes honeybees add to nectar are called invertase, diastase, and glucose oxidase. These enzymes are what give honey its medicinal properties and allows it to stay fresh for many years. Once the honeybee flies back to her hive box, she puts the nectar into a wax cell in the honeycomb. When the wax cell is full of nectar, she fans the nectar with her wings to reduce the water content, and now she has made what we call it honey. She caps the cell with a thin layer of wax to protect the honey to use as food later. Each enzyme added by honeybees serves a purpose. Invertase converts most of the sucrose of nectar into glucose and fructose. In other words, it converts one kind of sugar found in nectar into two alternative sugars. Diastase becomes an essential part of the honey which breaks down starch into glucose. It is important that this takes place because glucose is the easiest sugar molecule to digest. 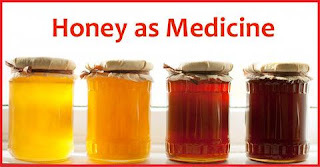 This means that these first two enzymes help make honey healthy for eating. The last enzyme, glucose oxidase works to produce gluconic acid and hydrogen peroxide. Each of these helps protect unripe honey from getting bad bacteria and helps to protect against fermentation. Without these three enzymes, honey could easily become spoiled, would be harder to digest, and could even become contaminated with bacteria. Honey is great for eating and baking, but honey can also be used outside the kitchen as well. It has many healing properties and can be used to help with allergies, provide all-natural energy, boost memory, suppress coughs, aid sleep, treat dandruff, heal wounds and burns, strengthen immune systems and even help in anti-cancer treatments. Honey is truly remarkable. Without the honeybee and the special enzymes they produce, we would not have honey. 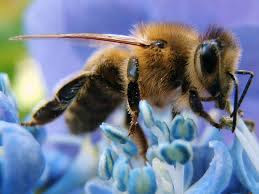 We can be thankful for this special insect ~ the honeybee!